– AU$35 –CD with postage included, in a specially designed artwork cover and booklet with lyrics and translations, mailed straight to you anywhere in the world. Also available on Itunes, CD Baby, Spotify. Dubbed the ‘Bossa Nova Baby’, this Perth-based Brazilian singer-songwriter and music award winner, brings a new edge to traditional Brazilian rhythms – creating a contemporary Latin Jazz musical fusion which is taking the Australian and the International music scene by storm. Juliana Areias has performed on celebrated stages around the world including the Sydney Opera House, Ronnie Scott’s Jazz Club in London, the Green Room in New York, the Montreux Jazz Festival in Switzerland, the Auckland Festival in New Zealand, the Fukiagi Hall in Japan , the legendary Beco das Garrafas in Rio de Janeiro, America’s Cup (NZ), The Perth International Jazz Festival, WAM Festival, Kings Park Festival and Ritmo Festival at Darling Harbour performing for over 30.000 people. Her first original album, Bossa Nova Baby was featured on ABC Radio National on Australia Day 2016 as “The Changing Face of Australian Music”. 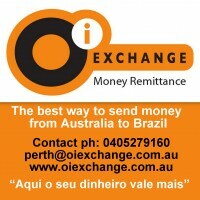 The album was produced after a successful worldwide crowd-funding campaign and with the support of the Department of Culture and the Arts of Western Australia and corporate sponsors. It won The Best Brazilian Album released in the U.S. – Focus Brazil Awards in Florida 2019. It was also the finalist of multiple nominations for The Western Australian Music Awards including WAM Song of the year – World Music Category 2015 and WAMi Best World Music Act 2015/2016. It has also been receiving regular air play in Australia, Europe, Japan, USA , Brazil and Latin America. 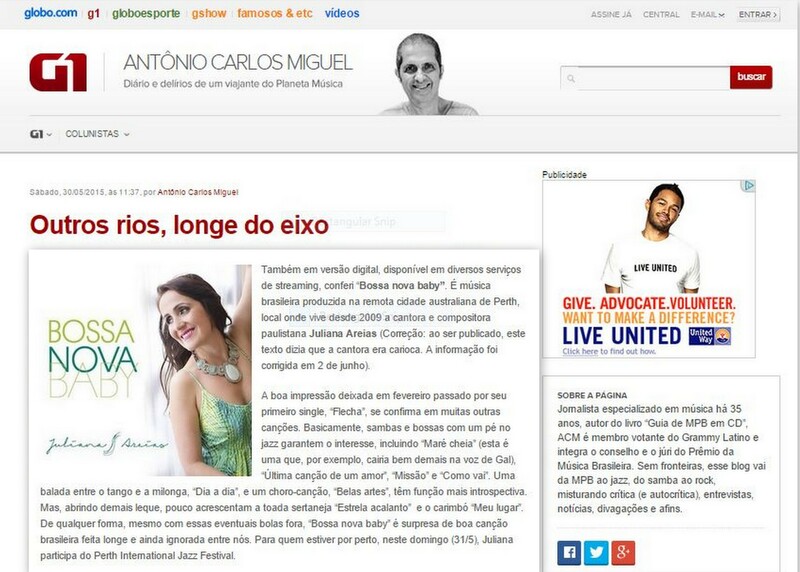 Juliana Areias has also previously lived in Switzeland and New Zeland and recorded for the poet, composer and Brazilian diplomat Marcio Catunda, 6 of his albums produced respectively in Switzerland (Anima Lirica -1997), Bulgaria (Crescente – 2000), Brazil ( Mistica Beleza – 2003/ Itinerario Sentimental – 2008) , Spain (Agua de Flores – 2009) and Portugal (O Jardineiro da Vida – 2010). 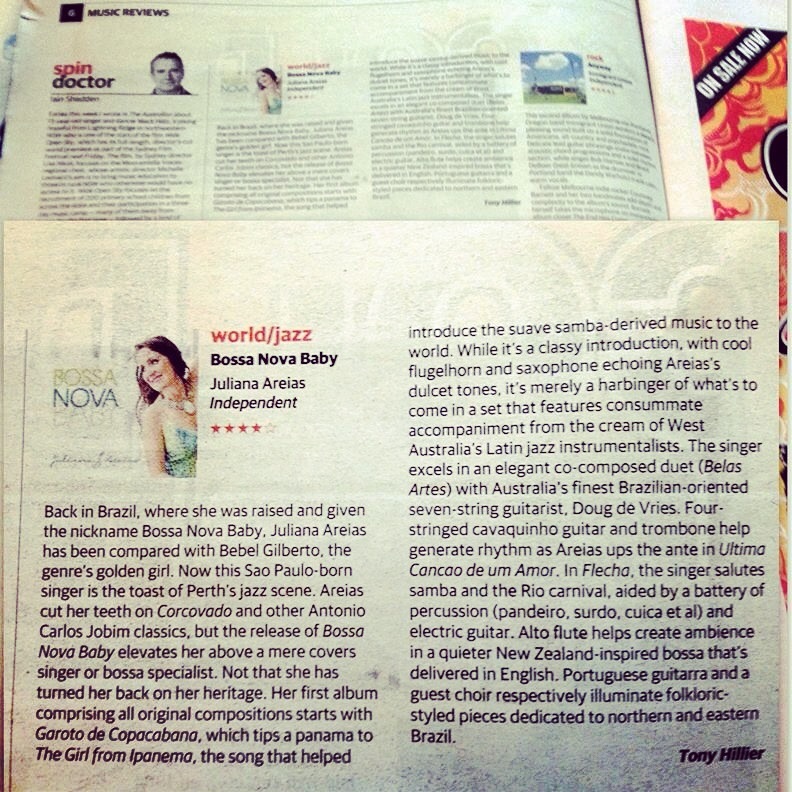 The Bossa Nova Baby Album is available worldwide via www.JulianaAreias.com, Itunes, CD Baby, Spotify, Rdio, Bandcamp and Soundcloud.